TRAILADDICTION LTD IS NO LONGER OPERATING AS A BUSINESS, AND THEREFORE IS NOT OFFERING GUIDING OR HOLIDAY PACKAGES TO THE PUBLIC IN 2019. THE INFORMATION ON THIS WEBSITE IS INTENDED FOR YOUR REFERENCE AND TO FIND OUT ABOUT THE AMAZING RIDING ON OFFER IN THE LES ARCS / TARENTAISE REGION. If you have any informal questions about the riding in Les Arcs, or are looking for local recommendations about finding a guide for your trip, Ali would be happy to help where he can. 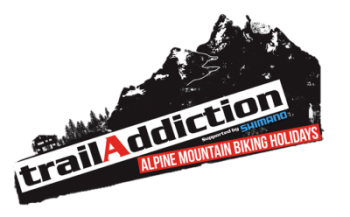 Email Ali@trailAddiction.com. Gerald M Krasner and Gillian M Sayburn were appointed joint administrators of Trailaddiction Ltd and Trans Savoie Ltd on 6 March 2017. The affairs, business and property of the companies are being managed by the joint administrators, who act as the companies agents and without personal liability. Simply put, trailAddiction is your gateway to the ultimate alpine mountain biking holiday. We specialise in guided lift-and-shuttle-accessed epic singletrack descents and the areas from which we operate were specifically chosen because they offer a huge variety of trail styles: from secret alpine singletrack to groomed bike park run. In our opinion this is quite simply the best place in the world to ride a bike if you’re an All-Mountain or Enduro rider. We are based in the heart of the French Alps with easy access to many superb areas to ride such Les Arcs, Bourg St Maurice, Tignes, La Plagne, St Foye, Beaufort, and lots more local single-track goldmines you’ve never heard of. Our unique format offers guided access to hundreds of kilometres of superb alpine trails, set to a backdrop of the Alps’ finest green pastures, pine-forested mountainsides, crystal-clear glacial valleys and picturesque, traditional alpine farming villages. Countless Satisfied customers and dozens of press reviews have told us we’re on to something in our unique approach to a perfect MTB holiday. Years of trail-finding preparation have unlocked scores of trails that remain virtually unknown to the rest of the mountain biking world. Ride all day, with genuinely experienced mountain bike guides, and barely see another rider. Descend 2000 vertical metres at a time on the sweetest, flowing singletrack there is. With 5 or 6 guided groups every week, we guarantee you a small group with riders of a similar standard & pace. Travelling alone? No problem, we’ll find you some new riding buddies! Our small ride-groups (average 5 riders) allow us to tailor each day out on the trails to your individual preference – there are endless possibilities for variation in this alpine playground, and at trailAddiction we pride ourselves in knowing the area better than anyone else. Our constant trailfinding and exploring in the off-season results in our backcountry rides and adventures like hut trips that are all totally unique to trailAddiction – you simply can’t ride these special trails with anyone else. Searching for an epic point-to-point alpine adventure? Our Trans-Savoie Big Alpine Enduro Tour is the only mountain bike adventure of its kind to match uplifted single track with luxury chalet accommodation for a whole week’s adventure that will cover over 300 Km of the most epic single track there is. You won’t find this route in any guide book, that’s for sure! For those keen to improve whilst enjoying a great holiday, our qualified and experienced mountain bike guides offer bike skills training whilst out on the trails. Please browse our site, there’s lots of information here to help you choose the option that’s just perfect for you. Or keep scrolling down from here and let us take you through the highlights. If you’re not sure, no problem – that’s what we are here for! Just email us and tell us a little about what you like to ride. We’d be glad to make some suggestions or talk you through the options. The areas we ride are extensive, not only in terms of quantity but also the variety of quality riding terrain that we have from our doorstep. We are not bound by geographical boundaries and we love to show you as many different areas in one week, as we can manage. The two vertical kilometres of lift-assisted non-signposted natural singletrack that we have on-tap is obviously a huge attraction, but we’ll sometimes pedal higher from the lift-top to access secret gems. The versatility of our large trail guiding team means that your week with us –or indeed any single day– can be a very flexible combination of whatever riding you want to do. Ultimately it’s your holiday and we will make sure that the week is tailored to your preferences. Our signature trails, most of them still unknown to the rest of the mountain biking world. 2000m+ vertical of lift-served, adrenaline-inducing natural alpine singletrack. So good you won’t quite believe it, until you’ve ridden them for yourself Read More…. For us this is all about 100′s Km of technical backcountry trails served by ski-lift, public coach and our shuttle minibus. But if you do want to hit the bike parks, we have plenty of that too of course! Read more…. The trailAddiction spirit is about making the most of the alpine playground in which we reside. To us, backcountry simply means un-mapped, non-way marked, natural mountain terrain, well away from bike parks and man-made trails.To us, backcountry simply means un-mapped, non-way marked, natural mountain terrain, well away from bike parks and man-made trails. Read more…. Ride the 6-day point-to-point route of the legendary Trans-Savoie Big Alpine Enduro. All 300 Km and 25,000m descent of it. You won’t find this one in any guide book! Read more…. In our opinion, the guiding* element is perhaps THE most important factor in getting the most from your holiday. Here at trailAddiction, we take this very seriously indeed. In fact, we PROMISE that we’ll find you a SMALL guide group that fits well with your personal riding style and ability**. The best trails are often the ones that aren’t marked out on the trail map, and this is especially true of what we like to ride. This is why we only use guides that have already trained with us for at least one full season already – about the time it takes to impart a complete working knowledge of this extensive area. Our guide groups are always small, and in that way, very personal. An average of 5 riders per guide means that you’ll spend much more time in the saddle and a lot less time waiting for the rest of your group to catch up or to fix those inevitable punctures. Mixed-Ability groups are no fun for anyone, which is why we don’t do it. We have 10 permanent, full-time guides to split into as many groups as we need to. No other operator in The Alps has the capacity to offer this flexibilty of “tuning” each and every group – since the less established operators have only one or two groups to choose from. Why risk going anywhere else and getting stuck in a group that just doesn’t suit you? You can rest assured that trailAddiction’s accommodation and catering lives up to the high standard set by our trails! We offer a choice of 3 standard holiday packages based around each of our quality accommodation options. 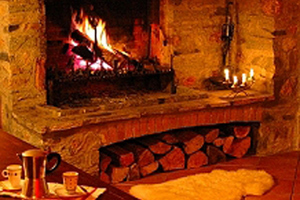 All of our accommodation have an extremely welcoming atmosphere, and dedicated, friendly staff to look after you. Our communal facilities include: secure bike storage and workshop area, TV and DVD Player, free WiFi, plenty of comfy sofas to relax on with your favourite mountain biking magazines (provided! ), full workshop facilities, power hose and drying room. All our packages include guiding, full-board catering, authentic Alpine accommodation, & guaranteed ear-to-ear grinning at the bottom of every trail. See our pricing options and availability here. Or click here to see other ways to get in touch.